Retaining brand relevance is fundamental to organizational success, and an increasing challenge that high-level marketing professionals now face. In the past, many have responded with product or price-based competition, yet this can only propel a brand so far when it comes to retaining long-term relevance. Research shows that consumers are in fact driven by emotion and positive brand experiences have the power to drive engagement, while simultaneously offering countless options for competitive differentiation. Building Brand Experiences enables managers and executives to realize this and create tailored, relevant experiences that will appeal to consumers and drive brand performance. Practically structured around The Brand Experience Blueprint, Building Brand Experiences provides a step-by-step guide to the process of building effective brand experiences based on tried-and-tested tools, templates and informed research. 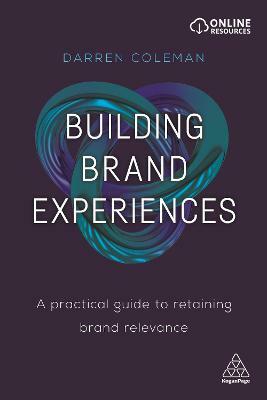 Combining expert insight and real-world examples in an anecdotal and digestible way, Building Brand Experiences is the essential guide to crafting relevant experiences that consumers will love, to improve brand engagement and drive results. Dr. Darren Coleman has more than 20 years of branding experience spanning projects in the UK, continental Europe, the Middle East, South East Asia and Japan. He has helped brands such as Maybank, PepsiCo, Dubai Properties Group, Orange, BUPA, Goldman Sachs, Roche Diagnostics and Nikon, as well advising the British and Lithuanian governments on brand related issues. He is now Managing Consultant at Wavelength Marketing in the UK.